This is the document section of the MetroRADON website where project outputs are shared. 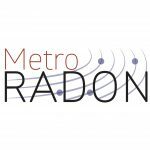 Literature review of indoor radon surveys in Europe – JRC Technical Report, Gordana Pantelic (VINS), et al. Review of potential techniques and materials to reduce the influence of thoron on radon measurements and calibrations, Olli Holmgren (STUK), et al. The geogenic radon hazard index – another attempt, Peter Bossew (BfS) et al. Click here to download the workshop’s agenda. Click here to download all workshop presentations.